A leaked shot of Lenovo's upcoming handset. 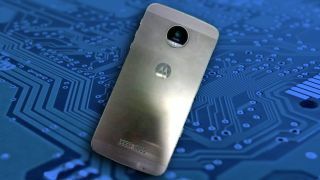 At the end of last year we got word that this year's Moto X would come sporting a distinctive-looking all-metal design, one that would be a significant break from the use of plastics and other materials in Motorola flagships of years gone by. We weren't all that sure about the rumour last December, but it's now been confirmed by the most reliable of tipsters, Evan Blass (aka @evleaks). "Who woulda thunk it? Turns out this is 100 percent real," he tweeted on Saturday. That's just about as dependable a confirmation as you're going to get without Lenovo actually officially coming out with the news itself. If you were waiting for Motorola to go down the metal and glass route, this could be your year. The leaked snap, which is the same as the one we saw last year, also shows a large camera component and what appear to be speakers on the bottom of the back panel. Whether or not the Moto Maker customisation options are still going to be available isn't clear. We've also seen some leaked benchmarks from the phone (or what we think is the phone), putting the new Moto X somewhere between the LG G5 and the Samsung Galaxy S7. A Snapdragon 820 processor and 4GB of RAM are supposedly on board. It's not clear yet exactly when the Moto X 2016 will break cover - there's an event scheduled for 17 May but we think that's more likely to be for the Moto G4. Last year's pair of Moto X devices weren't unveiled until July. Is a fingerprint scanner coming to the Moto X too?